Happy Thanksgiving! – iris elsewhere. 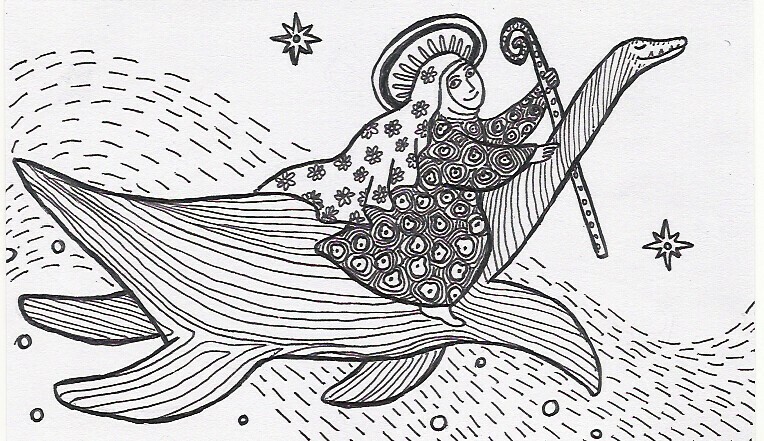 I am thankful for Hildegard of Bingen and plesiosaurs; also for Sharon Mann, who reminded me that Thanksgiving is a thing, thereby making me think of Hildegard of Bingen and plesiosaurs. Dear Iris, thank you for mentioning me today in your blog, I’m honored. I just read about Hildegard, what a remarkable woman. Have a beautiful day.